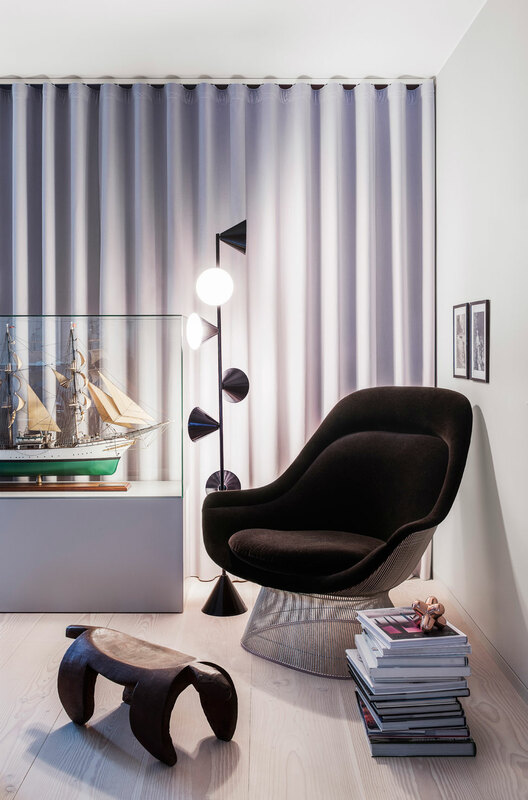 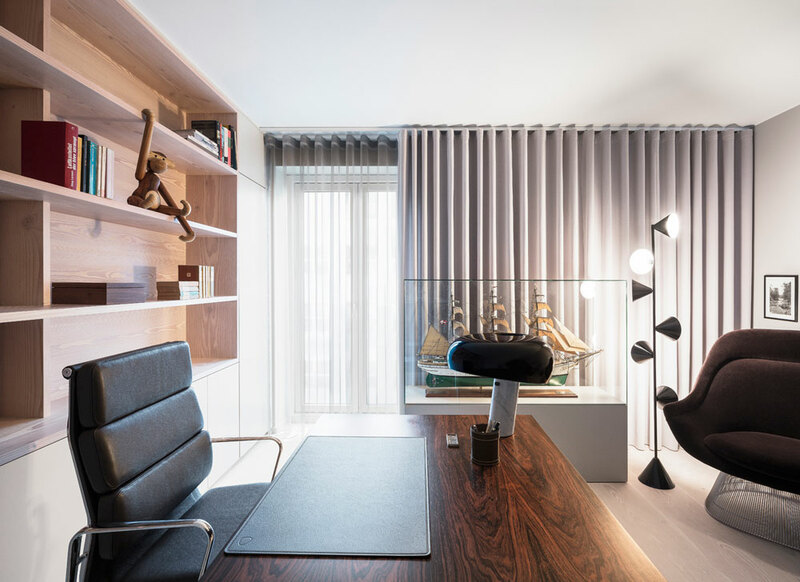 Studio David Thulstrup had the task to design the interior of this luxurious apartment located in Krøyers Plads, an award-winning and Nordic Eco-labelled residential project in the centre of the Copenhagen harbour area. 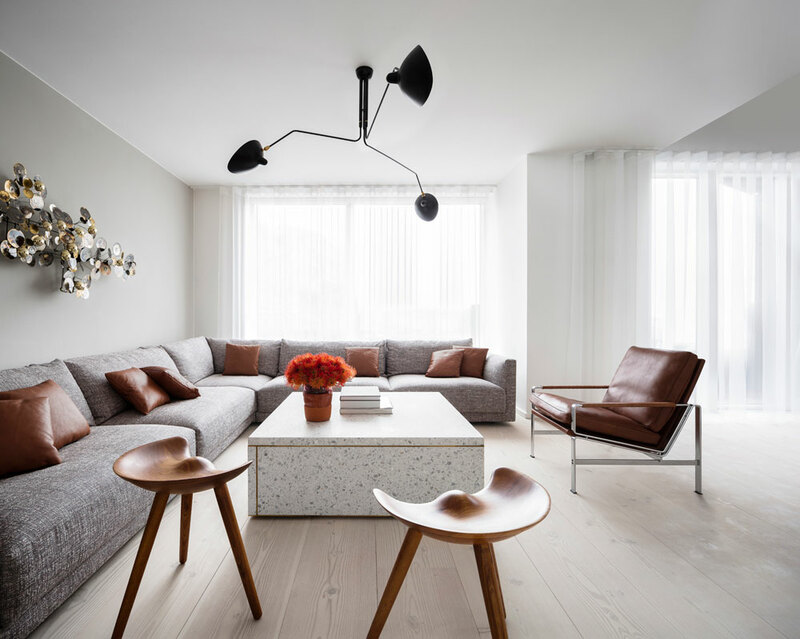 The owners, a Danish couple who currently live in South America, wanted something modern with an international style; a nod to their previous trips and countries of residence. 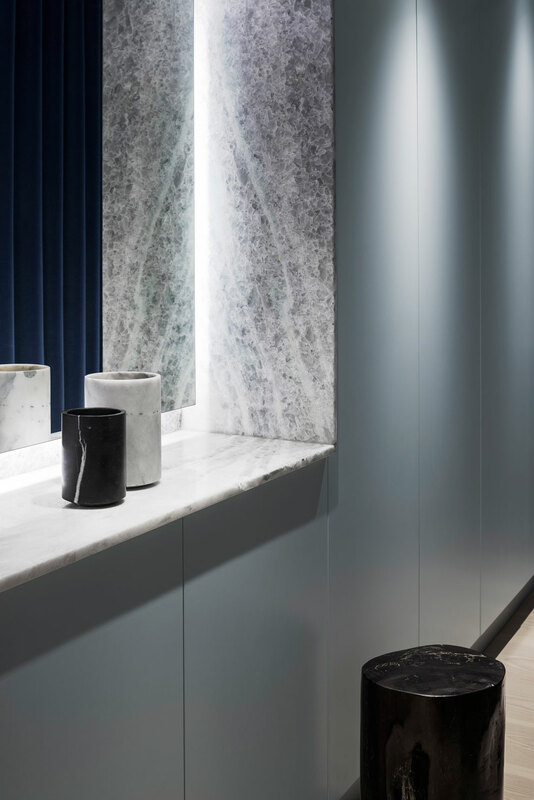 The result is exquisite, with numerous refined details and bespoke pieces – Cabinets, shelving, benches, as well as the beautiful coffee table. 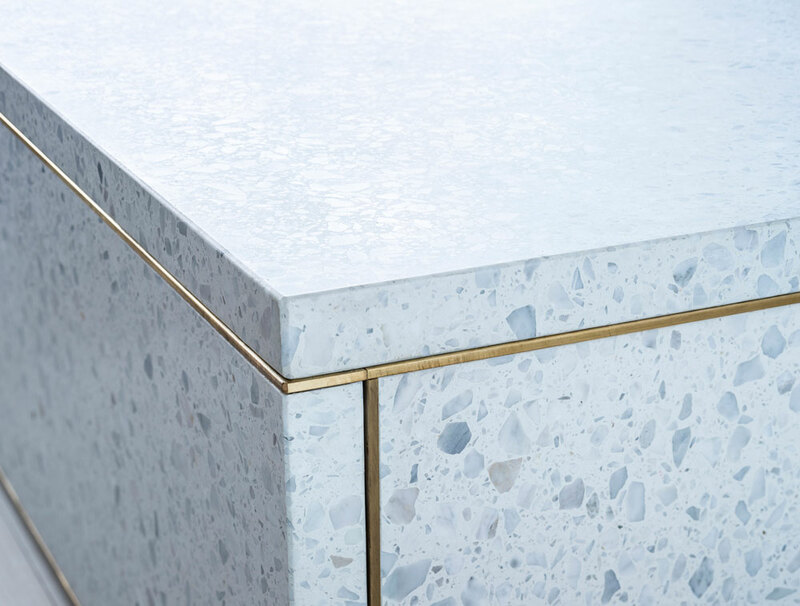 Terrazzo, marble, Dinesen douglas floorboards and Kvadrat textiles add to the sophistication of the place. 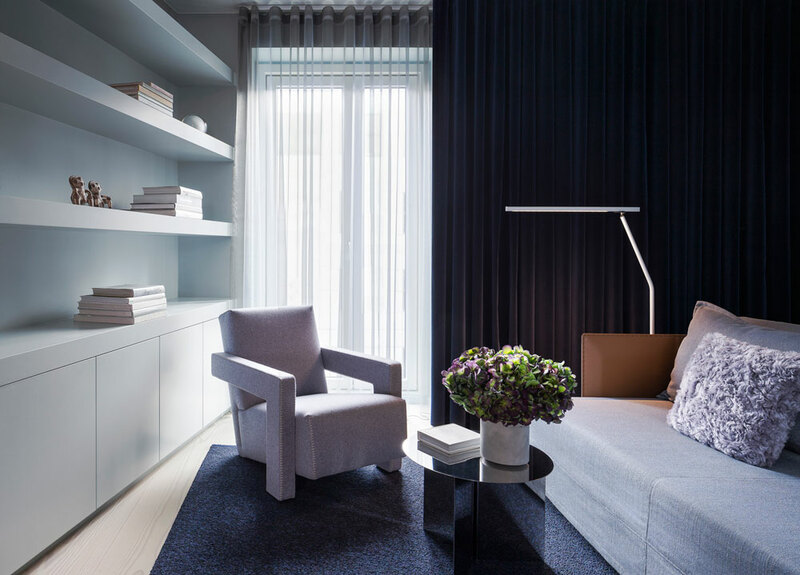 Different colour schemes were used in each area of the house; a more bright and light palette on the first floor, and darker shades for upstairs to create a feeling of privacy and intimacy. 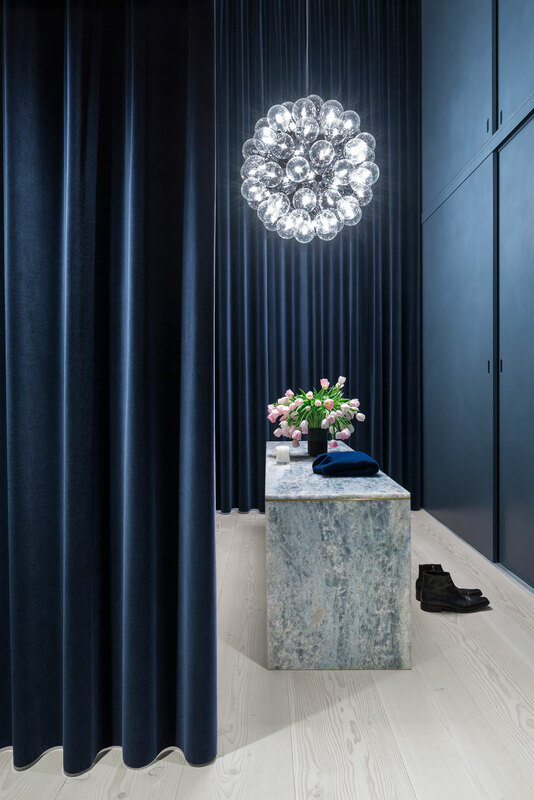 I’m loving the blues used for the walk-in closet, with those thick curtains – Stunning! 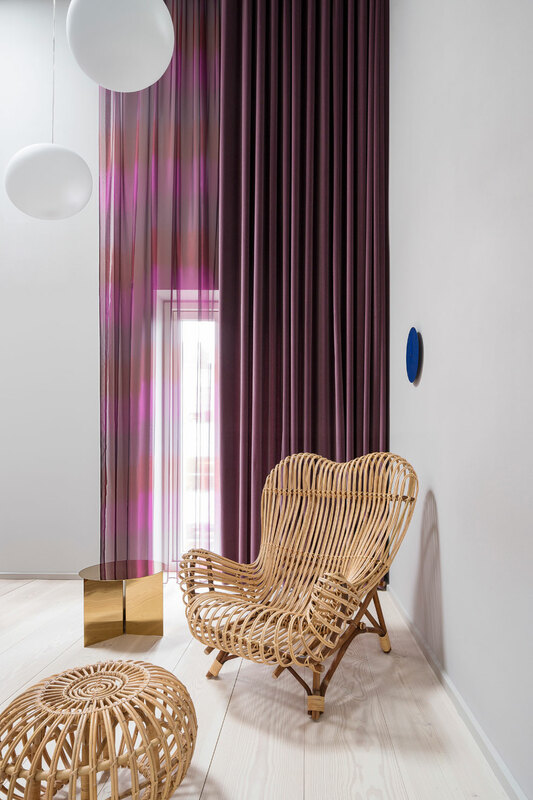 Walls of textile like these were used throughout the home, which definitely enhance the luxurious feel. 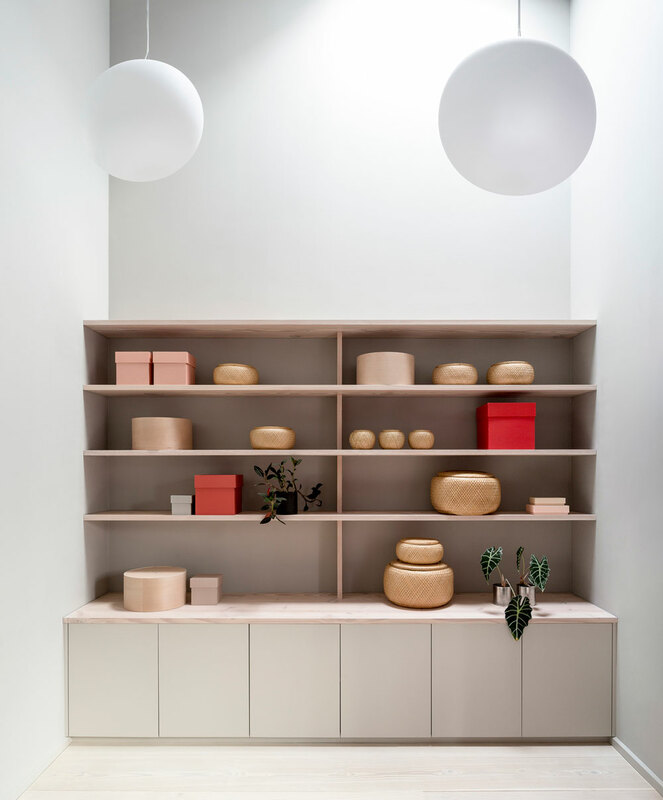 This seems to be something Studio David Thulstrup likes to use; you can see a similar look in this former factory building in Copenhagen into a breathtaking house. 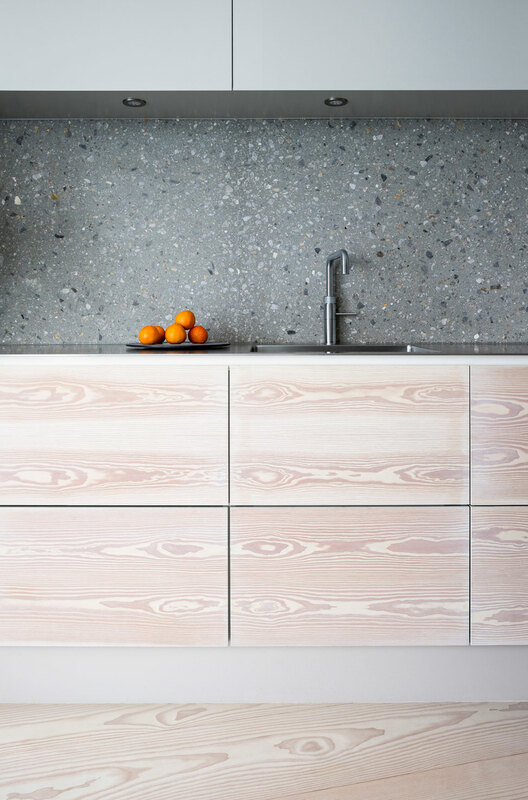 For more beautiful homes, check out my Inspiration Gallery.